There are many factors that contribute to weight problems. A person’s physical activity level, diet, stress level, emotional well-being, and sleep habits can greatly affect his or her weight. A person who is overweight or obese has a greater risk of developing heart disease, stroke, diabetes, and other health conditions. While patients may have a desire to lose weight, it can be incredibly difficult to do. Food cravings, mood swings, a slow metabolism, health conditions, and poor digestion can make losing weight difficult. Sadly, for many of the patients of Dr. Bret Mosher’s functional medicine center in San Diego, weight loss treatment after weight loss treatment has failed. 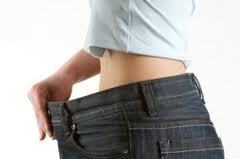 The emotional and physical toll that losing and gaining weight has on the body can be quite devastating. At Mosher Health in San Diego, weight loss treatment is always tailored to each individual patient. By customizing a diet plan that is based on a patient’s unique needs, San Diego functional medicine specialist Bret Mosher can help patients achieve their long-term weight loss goals. Through his expertise of advanced clinical nutrition, Dr. Mosher will customize a diet plan that addresses the psychological and physiological aspects of weight loss. To help determine the best treatment to aid patients in their weight loss journies, Dr. Mosher considers the body composition, unique metabolic type, nutritional deficiencies, natural defense systems, individual genetic expression, and blood sugar and insulin levels. Dr. Mosher uses this information to help him diagnose and treat the underlying cause of weight problems. By treating the underlying cause of weight problems, it can help ensure long-term weight loss. If a patient feels tired when they wake up in the morning, finds it difficult to walk long distances or to climb stairs, experiences aches and pains in the body most days and nights, and is sad or unhappy with his or her physical appearance, weight loss may help. All of these issues can be addressed through Dr. Mosher’s Diet by Design system. Diet by Design is a customized plan to optimize a patient’s metabolism. The focus of the Diet by Design system will be to enhance the metabolism, repair damaged cells, and correct nutritional deficiencies. It will include meal suggestions and nutritional supplements to help patients look and feel better. By carefully following a Diet by Design plan, patients can lose one to seven pounds per week, achieve better mental clarity, experience a boost in energy, alleviate back pain, eliminate food cravings, and experience a reduction in appetite. By following a diet that promotes optimal health, patients can reduce or eliminate chronic pain, reduce or eliminate disease, and even reverse premature aging. At Dr. Bret Mosher’s functional medicine center in San Diego, Chinese herbs, acupuncture, dietary changes, and nutrition counseling may be included in a patient’s weight loss treatment. To learn more about alternative healing for weight problems, or to schedule a personal consultation, please contact Mosher Health today. Dr. Mosher looks forward to helping patients find effective, safe, and natural alternatives to treating weight problems.